Gone are the days when you advertised using offline channels and just hoped that it would work. 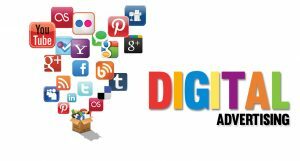 Digital advertising gives you an opportunity to engage with your target audience and keep track of your marketing efforts. The more visibility your business has, the more reach it gets. Businesses can benefit from digital advertising in the following ways. Traditional advertising is unpredictable. You could hit or miss. However, digital advertising is more specific. You can focus on a particular niche. PPC and SEO can help in target marketing. Social media channels such as Twitter and Facebook are useful in setting demographics and geographic locations. If you want a wider audience, you can use Facebook. Millennial targeting is achievable through Twitter and Instagram. The digital landscape is highly dynamic. Traditional advertising takes time. In the case of organisations, you need to pass budgets. However, placing advertising ads and PPC’s takes a short time. In fact, in a matter of minutes, you can target customers through different advertising channels. Digital advertising engages with the customers directly. This means feedback is available. Customers give reviews, and you can tell how your products and services are received. In addition to this, digital advertising is measurable. You can see how many people shared and clicked on your post and decide whether a particular form of advertising is working or not. Digital advertising has grown, and it is not slowing down any time soon. This is why every business needs to create space for themselves in the digital arena. Copyright © 2019 trick-creative.co.uk. All Rights Reserved.